A married person who has never contributed to the Social Security fund may still be eligible for Social Security benefits if his or her spouse paid into it. 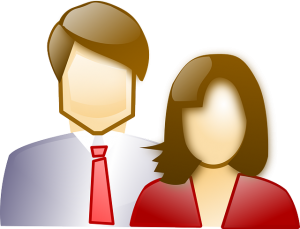 Both spouses must meet certain criteria in order to claim the spousal benefit. Before a spouse can claim the spousal benefit, he or she must be at least age 62. Additionally, his or her spouse must be age-eligible for Social Security benefits before he or she can claim spousal benefits. There are different rules for spouses than ex-spouses. For a current spouse to receive a spousal benefit for Social Security, his or her spouse must already be receiving benefits. For an ex-spouse to receive benefits, the couple must have been married for at least ten years. Additionally, the spouse with the higher earning record must be eligible for benefits even if he or she has not claimed the benefits. The most that a person can receive in spousal benefits is 50 percent of his or her spouse’s Social Security retirement amount. If a child is also claiming on the person’s retirement amount, the amount of spousal benefits may be adjusted. The maximum that a family can receive is usually between 150 and 180 percent of the person’s full retirement account. A spouse’s benefits can be reduced if he or she receives a pension. Additionally, if the spouse works, the same earnings limits apply to the spouse as they do the person receiving retirement benefits. A spouse who has worked may be eligible for both Social Security benefits on his or her own record as well as on a spouse’s. Social Security attorneys Chicago can explain that a person’s own benefit is paid before the spousal benefit. For example, if the amount of spousal benefits is $1,500 but the claimant is eligible for $800 on his or her own account, the $800 is paid on his or her own account, followed with $700 for the spousal benefit. Online – Claimants can complete an application online to apply for benefits. By phone – Claimants can call 1-800-772-1213 to apply for benefits over the phone. In person – Claimants can visit their nearest Social Security Administration office. Social Security attorneys Chicago can help assess when the best time to apply for benefits will be based on dual entitlement and other factors.